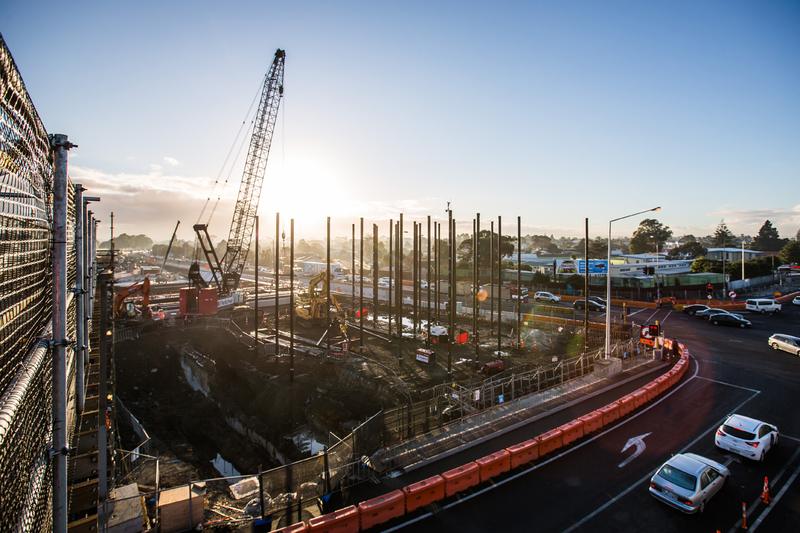 Anyone who has tried to get to the Auckland Airport at peak time has likely encountered heavy congestion. 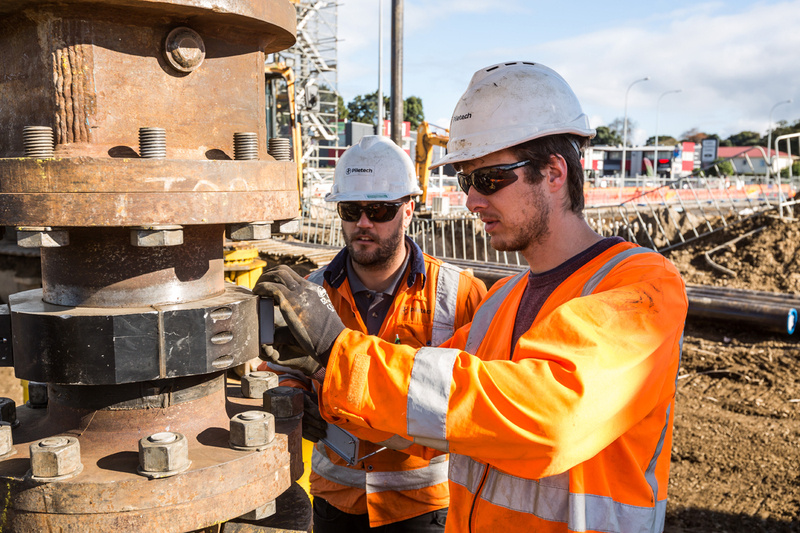 So when the New Zealand Transport Agency were looking at options for the $146M grade separation of Kirkbride Road – Piletech’s screw piles offered a unique value proposition that could not be matched. With a high water table and a trench up to 7.5 metres deep, there were incredibly high tension loads that had to be catered for. Imagine trying to hold down a fully submersed bath tub wanting to pop up – but on a much larger scale. This is where the tension capabilities of a screw pile came into their own, going to depths of 45m. Screw piles, and Piletech, have added significant value to the MHX Kirkbride Road team. On a pile-to-pile comparison there was saving “going into 7 figures”! Installing screw piles to 45m is also far quicker than an alternative bored pile option – so programme benefits started coming to the fore. Thinking holistically Piletech also initiated the ability to use a mandrel – such that all the screws were installed before the trench was excavated, facilitating a top-down construction methodology. 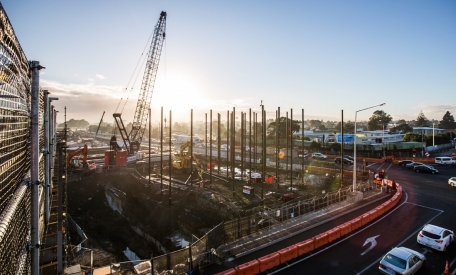 Whilst in the short term this may have increased cost, it took piling off the critical path of the project which added significant benefit to the Alliance team of Fletcher Construction/Beca/Higgins/NZTA. The lack of any spoil to be carted off site was another huge plus for screw piles, as it ensured a much cleaner, safer working environment for all subcontractors on site. 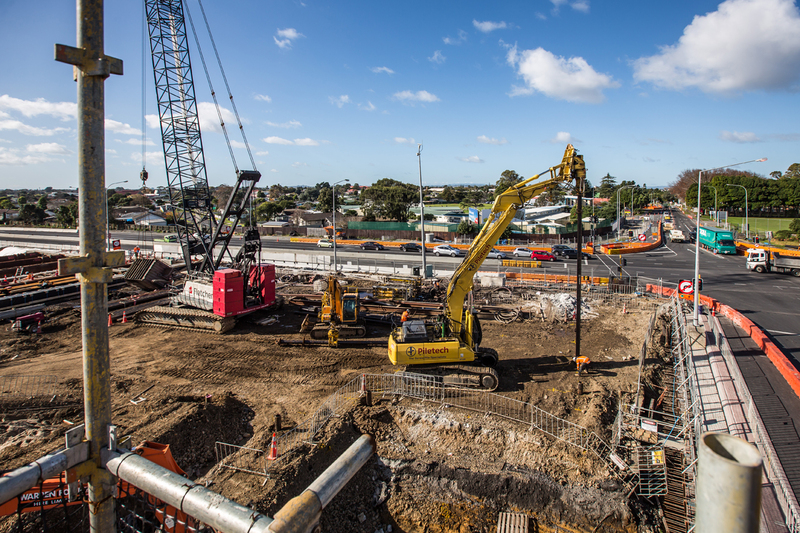 Piletech worked collaboratively with Beca, undertaking up to 10 load tests to ensure the optimal design was used and that piles would perform to the desired requirements. There was also significant value added by providing procurement advice around steel, and managing market volatility with steel rates and FOREX. All in all this has been a flagship project for Piletech.